Lang's Building Supplies located in Stapylton specialises in Roof Trusses, Wall Frames and Floor Trussses. Lang's Building Supplies is owned and family operated company since 1970. Lang's Building Supplies staff are friendly, efficient and knowledge and can give prompt and professional advice, what will the comprehensive range of quality products that suit their budget. Lang’s Building Supplies committed to keep pace with the advances technology, providing our great customer service, selling at fair prices and offering good services. 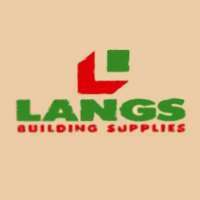 Contact Lang's Building Supplies for more information and enquiries.